News : Applethink! Creative Camp in Aizpute, Latvia 13-15.9. and Orchard Harvest Picnic in Malminkartano, Helsinki 15.9. This upcoming week there are two apple-focused events in the Pixelversity Ecosystem and Environmental Monitoring calendar.. The first event, called AppleThink Creative Camp takes place in Aizpute, Latvia from Thursday-Saturday 13-15.9. focuses on creative trans-disciplinary approaches to apples and their diverse use after harvest, and is organised by RIXC Centre for New Media Culture. The camp programme schedule includes presentations and discussions by artists, curators, science researchers, and community activists who will be discussing different survival strategies ranging from the concepts of 'downshifting' and 'withdrawal', to the approach of 'resilience' and a 'techno-ecologies' perspective. The camp will end on the Saturday with a local outdoor market together with local farmers, where the artefacts created during the creative camp will be put out for symbolic sale-exhibition. If you can't make it to Latvia (!) and are inspired, the second notice is to encourage you to join the Orchard Harvest Picnic in Malminkartano suburb, Saturday 15.9. from 12.00-16.00, address: Kartanonkaari 29, Helsinki. This event is organised by Helsinki City Public Works in collaboration with Malminkartano Residents Association and Uudenmaan Martat. The wide range of species cultivated there is a legacy from the days when the orchard was part of the University of Helsinki's agricultural research unit. Artists, who once were exploring the boundaries of the digital realm, are today investigating survival tactics and resilience experiences that have been used in different times and by different cultures. In the quest for a sustainable future these emergent art practices are adapting, mixing and combining methods and techniques grounded in historical and traditional cultures, with emerging technologies, scientific research, and contemporary pratices in today's urban and rural communities. 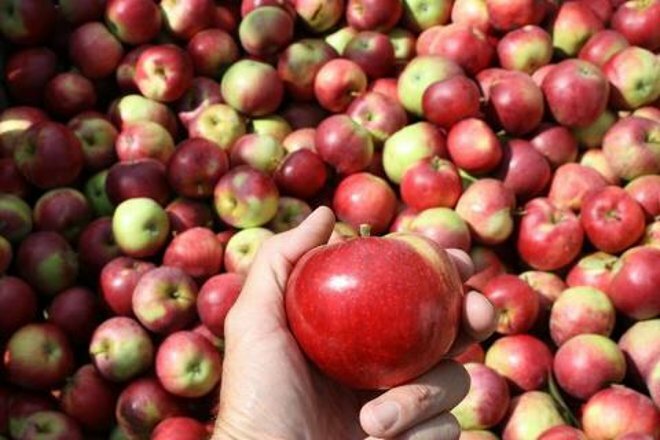 In Latvia and other post-kolkhoz (collective Soviet farms) countries, apples are one of the most harvest-rich, yet under-exploited resources available. AppleThink event aims to re-approach our 'habitual' apples from a variety of different perspectives. The event will bring together an international trans-disciplinary group of participants, who will be sharing their knowledge and experience by approaching apples as a 'real' resource of food and energy, aswell as as a cultural metaphor for fecundity and wealth. Practically the Creative Camp in Aizpute will also explore the phenomena of apples. We will start with the process of traditional fermenting, brewing, juicing, and preserving, ending up with experimental investigations: Can an apple be a transmitter of energy? How can one build a 'bacteria-battery' from apples-waste? How can apple-electricity signals be interpreted through sonification and visualization? The AppleThink event takes place in the framework of the European partnership project "Survival Kit". The outcomes of the AppleThink creative camp will be presented publicly during the Art+Communication Festival conference titled 'Art of Resilience' that takes place in Riga, October 4-6, 2012. AppleThink is a collaboration between RIXC, Latvian Contemporary Arts Centre and Serde from Latvia, aswell as Pixelache Helsinki. Also information in Latvian.